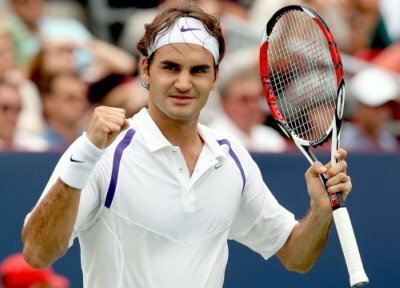 Roger Federer, The Greatest Tennis Player Ever? Roger Federer: One Of The Most Successful Tennis Careers Ever? Roger Federer is arguably the greatest tennis player of all times. He is from Switzerland. Federer was born on August 8, 1981. Federer’s parents are Swiss national Robert Federer and South Africa-born Lynette Durand. He was raised a Catholic. Federer is married to Miroslava "Mirka" Vavrinec. Mirka is a former Women's Tennis Association player. They married in Basel on 11 April 2009. On 23 July 2009, Mirka gave birth to twin girls, Myla Rose and Charlene Riva. Federer is an all court player. He has text book strokes and is pleasing to watch. He has a very powerful forehand referred to by John McEnroe as "the greatest shot in our sport". Federer holds many records in the Men’s singles game. He has won 16 Grand Slam titles which is more than any other male tennis player. Federer stands alone as the only player to appear in 23 Grand Slam semi-finals in a row as of January, 2010. He is only one of 6 players to win all four Grand Slam Tournaments during his career. Federer’s rivalry with Rafael Nadal is considered by many critics to be the greatest in tennis history. They are the only men in open era to play each other in 7 Grand Slam finals. Their 2008 Wimbledon Finals is considered to be the greatest match of all times.